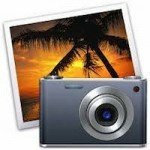 This article describes how to backup your computer using Time Machine. Apple’s Time Machine is simply the best backup system available for the Macintosh – it’s simple to use and it does everything automatically so you don’t have to remember to back things up. You can use it to go back in time a day, a week, or month to find a file that you’ve deleted or changed, and you can use it to restore your entire system should your Hard Disk go down. And did I mention how simple it is! Time Machine is built into OS X so all you need to do is Plug in an external hard drive, open Time Machine and select your hard drive, and turn Time Machine on! It will automatically backup for you. Here are those steps is a little bit more detail with some pictures to make it real easy, along with some tips on choosing the size of Hard Drive to buy. – Go to the ‘Applications’ folder then ‘Utilities’ then open ‘Activity Monitor’. 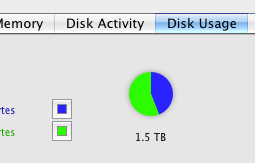 – That little number under the pie chart is the size of your hard drive. In my case it is 1.5 TB. 3. Plug the hard drive into your computer. 4. Now we need to format your new hard drive. Go to applications/utilities/disk utility. Select your new hard Drive – DO NOT SELECT YOUR MAIN HARD DRIVE! 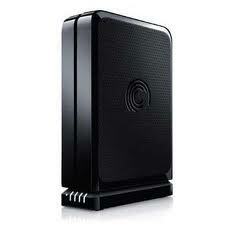 Select your new external hard drive – here it is called spare. My main hard drive is ‘boot’ – I do not select it. 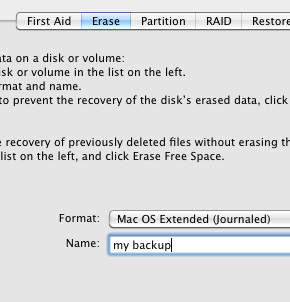 Click the erase tab, make sure the format is Mac OS extended ( journalled) and type in a name for your backup to be called. Then press the erase button. 5. Now that the hard drive is plug-in and formatted we need to turn on Time Machine. 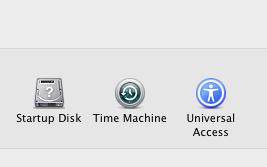 Go to System Preferences (in the Apple menu) then Time Machine. Slide the the time machine slider to ‘On’ and that’s it. 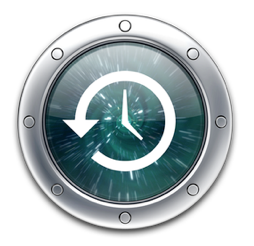 Time Machine will automatically backup your machine every hour, every day and every week. To restore if your computer crashes, just boot off your original Mac CD, (or in the case of Lion, hold down Command-R while you restart). When you get to the OSX installer, don’t install OSX. Instead choose ‘Utilities’ and run the Utility called ‘Restore System from Backup’, or ‘Restore From Time Machine Backup’. Plug in your time-machine backup, and it will appear for you to select. Apple have some more information on this here. Otherwise, podini.org is a great place for more detailed information on Time Machine. How to make a bootable backup of your computer How to back up your computer automatically (with MyBook Live and Time Machine) Backup Backup Backup!!! How to transfer your data from an old macbook to a newer thunderbolt macbook or macbook air. 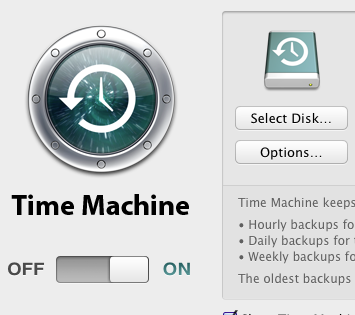 How to move a Time Machine backup to a different hard drive. This article above seems to slide from its original topic (backup and restore in MyBook Live and Time Machine, into a simple focus on backing up with Time Machine. I’m absolutely baffled that more people aren’t here panicked about RESTORING! Can I use a sincle external drive as BOTH a Bootable Backup as well as a repository for Time Machine? Yes, by doing different partitions on your external drive. To do it, you need to be on the “disk utility” app, and go on the option next to the “erase” (described in the article) called “partition”. I hope this is what you meant …! I backed up onto time machine and have put new hard drive into mac. I clicked for it to restore and it has take up 233 GB on my new hard drive but i can’t find ANYTHING from the restoration???? It was saying it was restoring to “Volumes” but the Volumes folder is empty! HELP!!! Is there anything on the time machine drive? Give apple a ring and they should walk you through it. I have a time capsule 2TB and I partitioned it fine but time machine keeps trying to back up to the wrong partition. How to I fix that? When I go in to select a drive my TC drive pops up but not the spacific partition. Is there a way to either 1. Use an external HD without wiping everything off of it (I already have one, but it’s got stuff on it I need) or 2. Make Time Machine save to the computer itself? As in to a file on the desktop or something? I was using imovie and did a bunch of work and it’s gone because people told my macs self-save and mine did not. Time Machine does NOT erase the external drive, so you can use it to back up to a drive with other file on it, it just won’t have enough room. Re the second question, it’s not really a backup if it’s to your own drive – if that crashed you lose everything! But with Lion if you have Time Machine going, it will do soem backups locally even if you dont have your drive connected. To quote from Apple: “Time Machine in OS X Mountain Lion and Lion includes a feature called “local snapshots” that keeps copies of files you create, modify or delete on your internal disk.” This happens automatically if you have Time machine turned on. Hi Wayne, I’m having a few issues with my mac so am looking to do a factory reset. I installed Snow Leopard a few months ago so shall use the disk for the reset. I have just bought a WD external hard drive to do a back up and was wondering if it’s a good idea to do a back up from time machine with this or select individual items to back up ie if i reset with Snow Leopard then use the time machine back up to transfer all my saved data will I not just end up with the same problems as before? Many thanks. Can one add two partitions next to an already existing partition on the main HD with an installed bootable Yosemite OS and install on the second partition a bootable Snow leopard OS, the last partition for data? 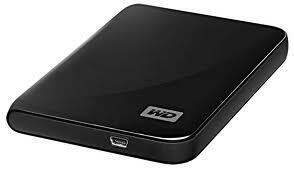 Can you then by using Time Machine make a bootable backup of this configuration on an external USB HD? Yes you can make multiple bootable partitions of your hard disk, but Time Machine will not make a bootable backup. You’ll need super duper or ccc for that.